WEEK TWENTY-NINE :: SCRAP WITH LAYERS AND LACE! 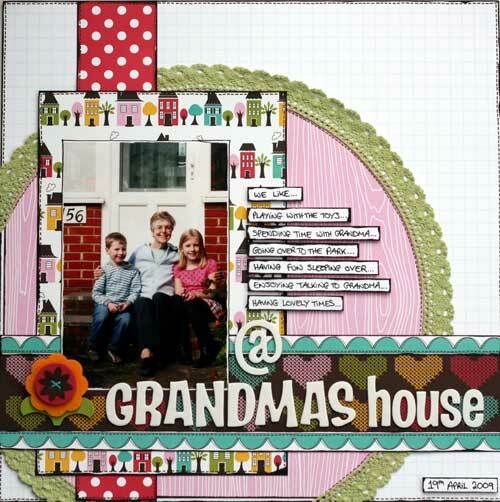 Back in 2009, Caroline said "Build up your page creating lift with sticky pads, adding bulkier embellishments and revealing hidden layers. So this isn’t a flat layout, it's very tactile, three-dimensional and using layer upon layer. And don’t forget to add a little lace somewhere on the page!" Upload your page to the SLYMI Reboot gallery, marking it for Week 29 (or Wk29 or #29, but please have a 29 in there somewhere). See how others have got back to laced up those layers while you're there - and spread some comment lurve! I'm watching Murray's Tennis Final ... SO exciting ... and thought I'd get this week's prompt up early - have fun! This is my contribution ..
Had to make a digi page this week - injured foot! Here's mine, do doilies count as lace, (it's all I had), and they did need using?! !